She was already a big star when she joined The Brady Bunch, won a couple of Emmys with The Bob Cummings Show, and I knew that this was someone I wanted to pay attention to but she had a wicked sense of humour. - Barry Williams (Greg Brady on The Brady Bunch) reflecting on his former Brady Bunch co-star, Ann B. Davis. Ann B. Davis, best known as Alice Nelson, the devoted housekeeper to television's Brady family, died recently at the age of 88. She passed away on June 1, 2014 at a hospital in San Antonio, Texas after suffering a fall in the bathroom of her home. She hit her head and never regained consciousness. Ann Bradford Davis was born in Schenectady, New York on May 5, 1926. Her parents were Marguerite (née Stott) and Cassius Miles Davis. She had an identical twin sister named Harriet and an older brother, Evans. 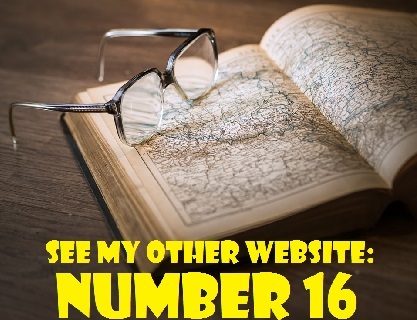 When Ann was a toddler, the family moved to Erie, Pennsylvania. She grew up in Erie and graduated from Strong Vincent High School in 1944. Ann originally intended to become a doctor and enrolled as a premed major at the University of Michigan in Ann Arbor. However, she became influenced by her brother, who was the lead dancer in the national company of the musical Oklahoma for a time. She decided to study theatre instead and graduated with a degree in drama and speech in 1948. The aspiring actress worked in theatre for several years before achieving success on television. From 1953 to 1954, Davis appeared as a musical judge on ABC's Jukebox Jury, hosted by disc jockey Peter Potter. The premise of the show was that a panel of celebrities discussed new records and voted on whether they would be a hits or misses. After the first month, the title of the program was changed to The Peter Potter Show. Ann's big breakthrough on TV was her role as Charmaine "Schultzy" Schultz on The Bob Cummings Show. 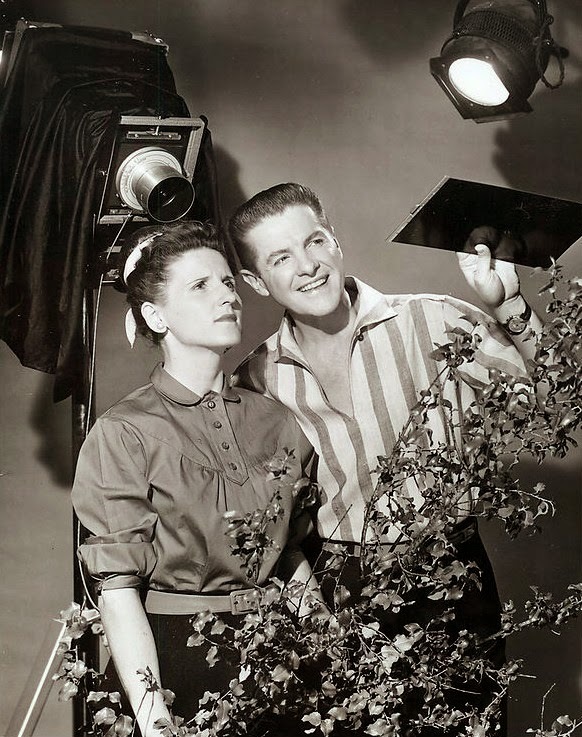 The series ran from 1955 to 1959 and Bob played a professional photographer Bob Collins. Her character, Schultzy, was bachelor Bob's loyal assistant. Schultzy had a crush on her boss but he was busy photographing beautiful models. In 1960, Ann had a guest role on the Western series Wagon Train. She portrayed Mrs. Foster in a episode entitled "The Countess Baranof Story" (Season 3, Episode 31, Air Date: May 11, 1960). 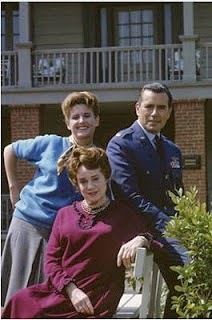 In the 1965-1966 television season, Ann B. Davis appeared on The John Forsythe Show, a short-lived situation comedy. She portrayed Miss Wilson, a physical education teacher at the Foster School, a private San Francisco academy for girls that was inherited by John Foster (Forsythe), a retired U.S. Air Force Major. British actress Elsa Lanchester played the role of Margaret Culver, the school principal. The John Forsythe Show only lasted one season and 29 episodes of the series were produced. Below is a photo of Davis and Forsythe (back), with Elsa Lanchester (front). 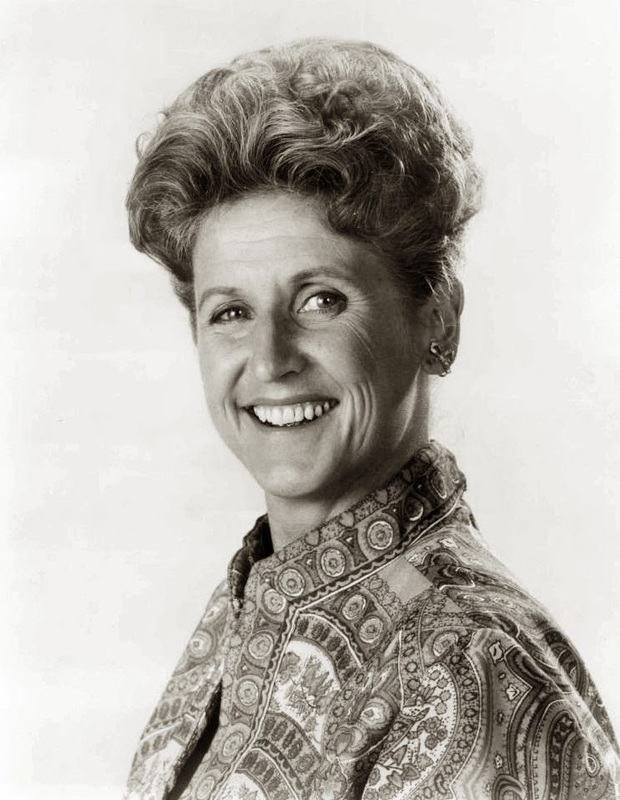 From 1969 to 1974, Ann B. Davis played her best known role, that of housekeeper Alice Nelson on The Brady Bunch. She was 42 when The Brady Bunch began its run and she soon became a hugely popular television star to a generation that did not remember her as Schultzy. In her Archive of American Television interview, Ann stated, "I remember my first 'demographic report' on The Brady Bunch.' I was with a friend, who told her little girl, 'honey, you remember Schultzy?' The girl said, 'that's not Schultzy, that's Alice!' I knew that we were coming along.... Today, people with three-piece suits and briefcases suddenly become twelve when they're walking by me. That just breaks me up and I love it!" In 1976, Ann left Hollywood behind and moved to Denver Colorado to join Trinity School for Ministry, the Episcopalian community of Bishop William C. "Bill" Frey. In 1996, she moved with Bill and his wife, Barbara, to San Antonio, Texas. She sang in the choir and regularly attended Bible studies and the church's Wednesday morning service. After leaving Tinseltown, Ann continued making television appearances. From 1976 to 1977, she reprised her role as Alice Nelson on all nine episodes of the Brady Bunch Variety Hour and in the 1981 television movie The Brady Girls Get Married. She also appeared as Alice in the TV movie A Very Brady Christmas. In 1989, Ann joined Brady cast members Robert Reed (Mike Brady), Florence Henderson (Carol Brady), Christopher Knight (Peter Brady), Mike Lookinland (Bobby Brady) and Maureen McCormick (Maria Brady) on an episode of the sitcom Day by Day. The episode is entitled "A Very Brady Episode" (Season 2, Episode 11, Air Date: February 5, 1989). In 1990, CBS aired The Bradys, a one-hour drama series about the trials and tribulations of the extended Brady clan. Ann B, Davis and all the members of the original cast, with the exception of Maureen McCormick, returned to their roles (McCormick was replaced by Leah Ayres). The show received poor reviews and lacklustre ratings and it was quickly cancelled. Ann B. Davis never married, nor was she publicly linked romantically with anyone. She immersed herself in her career and as she told the Chicago Sun-Times, "By the time I started getting interested (in finding someone), all the good ones were taken." Nevertheless, fans will remember Alice's romance with Sam the Butcher, on The Brady Bunch. 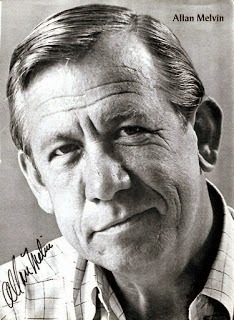 Sam Franklin owned the local butcher shop and was portrayed by character actor Allan Melvin. Melvin died of cancer at his Los Angeles home on January 17, 2008. He was 84. * Florence Henderson, who played Carol Brady, the mother of the Brady Bunch clan, and Ann B. Davis were great friends. When Ann passed away, Florence wrote the following on Twitter: "I'm so shocked & saddened to learn my dear friend & colleague Ann B Davis died today. I spoke with her a few months ago & she was doing great." * In 1994, Ann B. Davis published a cookbook titled Alice's Brady Bunch Cookbook. Interestingly enough, Bishop Frey, in an interview with The National Enquirer (June 9, 2014), is quoted as saying that Ann was "an astounding woman with a great sense of humour, and the character she played on The Brady Bunch was very much who she is, except that she didn't exactly get on with children and she couldn't cook . . . when it was her night to cook, we often had to go out to a restaurant."